Ever wondered what a World War II tanker and a nuclear power plant might have in common? That is just one of the questions that will be answered at a new exhibit at the Clarke Historical Museum on the history of electrical generation in Humboldt County. 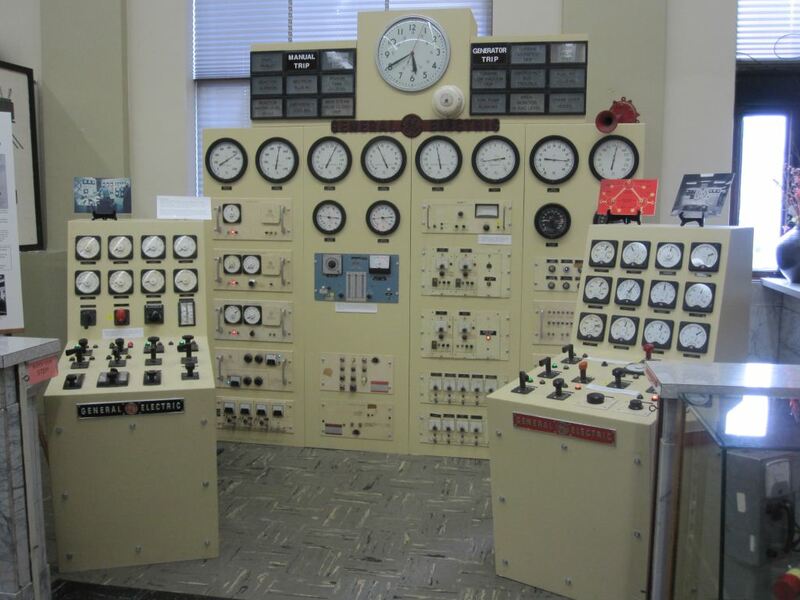 The exhibit, entitled From Sawdust to Uranium: 130 Years of Electricity in Humboldt County, will examine how electric power developed in Humboldt County, as well as aim to demystify how power plants operate. Why is there a museum exhibit dedicated to the history of electrical generation in Humboldt County? As a relatively isolated pocket on the broader electrical grid, Humboldt County has a unique story to tell. Out of necessity, power has been generated from a variety of sources over the years, from burning the sawdust waste from logging operations, to importing hydroelectric power, to oil and gas-fired steam plants and even a nuclear reactor. In particular, Humboldt Bay Power Plant’s Unit 3 nuclear generating unit was the first privately funded nuclear power plant built in the United States for the sole purpose of providing commercial electricity. The construction and operation of this facility was a pioneering achievement in the energy industry and influenced the engineering and design of power plants across the country. The California Energy Commission (CEC) determined Unit 3 historically significant, and as part of the decommissioning process, Pacific Gas & Electric Company (PG&E) documented the history of the power plant, as well as the broader history of electricity in Humboldt County.